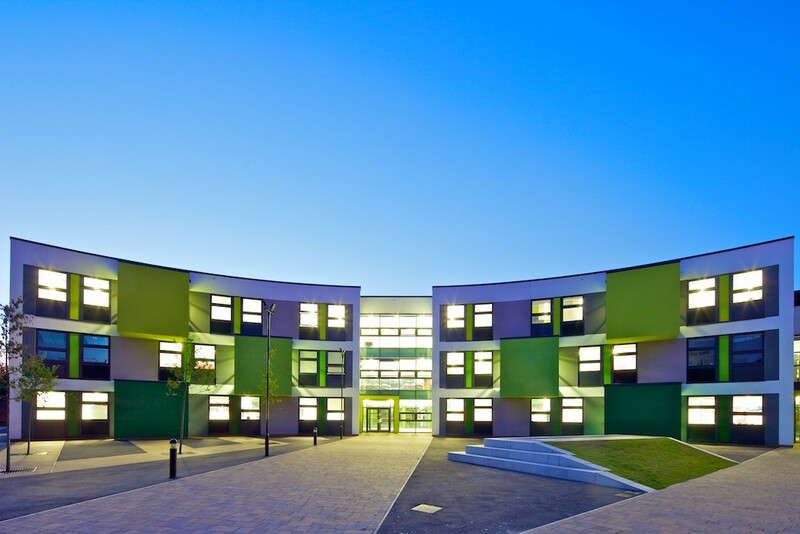 Alsop High School is a popular mixed comprehensive with nearly 1800 pupils, including over 300 in the sixth form. It is the largest secondary school in Liverpool. Prior to development, the arrangement and condition of the existing buildings were severely restricting the school’s progress. The school playground was mostly tarmac with no green space for student play or social interaction. The main school building was built in 1926 and had little flexibility for modern teaching and the curriculum. Temporary dining accommodation was in use and the school were using more than 30 ‘portacabin’ type classrooms which were in desperate need of repair. Unfortunately, these cabins were not only a poor setting for education, but also terrible eyesores for the immediate community of the Walton Village conservation area who overlooked the site. 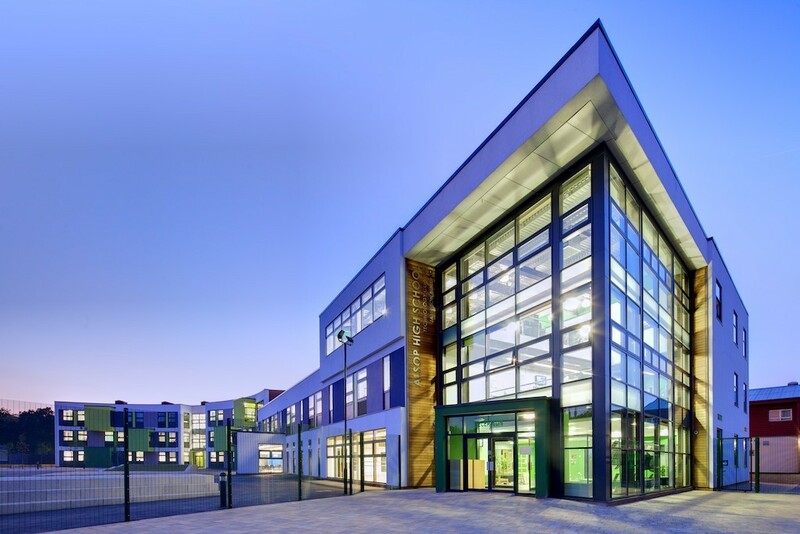 Architects ‘2020 Liverpool’ were appointed by Liverpool City Council to replace the mobile classrooms with a stunning 5,500 m², three-storey building comprising of varied teaching and activity areas including new dining facilities, dance and performance studios and communal social areas. The shape of the new block takes into account the existing buildings on site and addresses the long-standing problems with traffic management, student movement between buildings, undefined car parking and scattered play areas. For the immediate community, development of the school site has been a re-occurring nuisance since 1953 at the end of the Second World War when the school began their expansion plans to cope with the growth of the city and increasing student numbers. Over the years this resulted in a gradual decline in the provision of green playing fields (previously used by both school and community), the trees and shrubs, natural ecology and overall site aesthetics. The new revamped site addresses all these points and returns the school into a visually pleasing place to not only study at, but also live next to and integrate with the community. 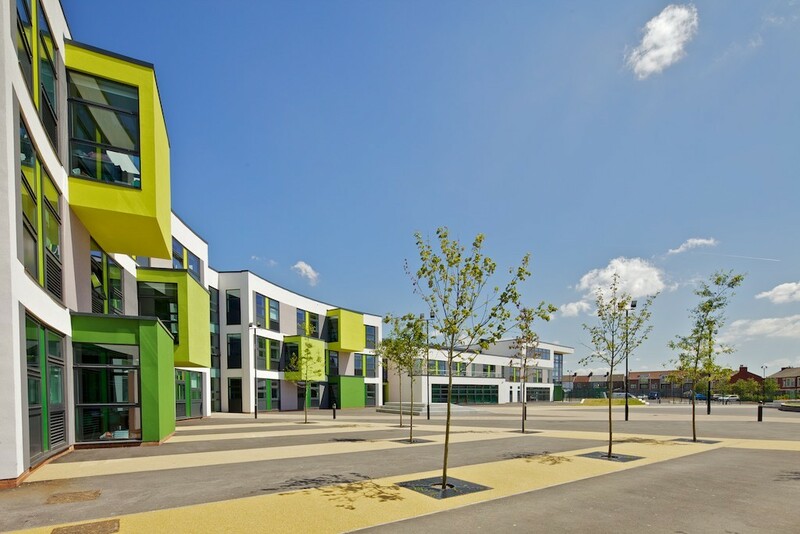 The contract with architects 2020 Liverpool involved completion of a new building (the Jamieson Building), complete reworking of the landscape / playgrounds, remodelling of the original 1926 school building and full backlog maintenance required to all the remaining school buildings on site. 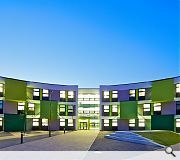 The use of a simple palate of materials and colours (based on the school corporate colours), combined with a unique form and shape has received both local and national recognition for the standard of design quality achieved. The scheme is visible from the Walton Village conservation area to passing pedestrians and the general public and has generated much interest with local community organisations and enquiries to the school due to its visual impact and ‘WOW’ factor. 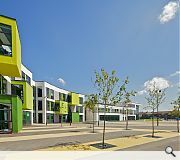 The new building at Alsop High School was completed and handed over to the client in April 2010. The final elements of landscaping and backlog maintenance were completed in May 2011.